Hey there! Thank you for your interest. JustineCelina is passionate about working with brands, businesses and other creative professionals to craft beautiful, thoughtful, engaging stories. Over the past 4 years, Justine has had the pleasure of partnering with a handful of her favourite brands — including Almond Breeze, HomeSense, Inspired Greens, Litehouse Foods, Miele, President’s Choice, Sabra, SAKS Fifth Avenue, Saks OFF 5TH, Samsonite, Sephora Canada, Smartfood, Sport Chek and Tourism Calgary, among others. 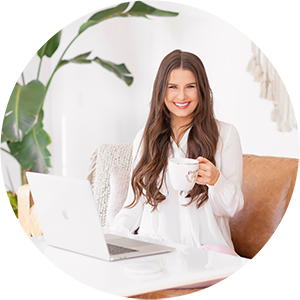 JustineCelina‘s creative lifestyle content has been featured across numerous esteemed media outlets and currently garners over 1 million views monthly, channel-wide. JustineCelina is PR friendly and available for partnership and sponsorship opportunities, collaboration and creative consultation. You can get in touch at hello@justinecelina.com and request a Media Kit to learn more about JustineCelina.com and how we can work together, or use the form below to start a conversation! Put my 12 years of professional experience in the advertising industry to work for you! JustineCelina offers a variety of partnership and sponsorship opportunities for businesses. Each collaboration is unique and carefully crafted to represent your brand and product. For inquiries, please email hello@justinecelina.com with the words “Partnership” or “Sponsorship” in the subject line. Would you like to request a Media Kit? Have a press-related inquiry? Please email hello@justinecelina.com with the words “Media Kit” or “Press” in the subject line. Note that I do not accept unsolicited guest post inquiries or publish concepts, content, graphics or images that I don’t personally create. Have an event coming up that you’d like me to attend and/or cover? Looking to book JustineCelina for a speaking engagement? Shoot an email to hello@justinecelina.com with the words “Event” or “Speaking” in the subject line for availability and rates. JustineCelina offers advertising space to businesses that align with my brand and demographic. Email hello@justinecelina.com with the word “Advertising” in the subject line for additional details and rates. Graphic design services are available for blog advertisements. JustineCelina offers creative consultation services on a contract basis — including creative direction, art direction, design, styling, photography, writing, content development and consultation. Please email hello@justinecelina.com with the word “Consulting” in the subject line to discuss the details of your project. Have a great product or service that you think I’d enjoy? Awesome! I’d love for you to send it my way. If you’re brand representative or company interested in JustineCelina reviewing or featuring your product or business in a blog or social media post, please write to hello@justinecelina.com with the word “Review” or “Feature” in the subject line. Interested in featuring my content or licensing high resolution images for web or print? Let’s chat. Send me a message at hello@justinecelina.com with the words “Content Feature” or “Image Licensing” in the subject line. Interested in featuring my content on your website? Please email me at hello@justinecelina.com to request permission. My standard copyright policy allows external publications to use 1 image, with a link back to the original post and full credit given to JustineCelina. Altering reposted images in any way (including the addition of text, graphics or filters) is not permitted. Reposting entire recipes, text or tutorials and copying / pasting my content on any platform is not permitted and will result in a removal request and / or subsequent legal action. Are you a fellow creative or blogger looking to collaborate, or just want to say hey? Shoot me a line at hello@justinecelina.com, or use the form below for all other general inquires — I’d love to hear from you!